Ohio native Ryan Ratino has been a MICHELIN Guide fanboy for several years over. Dubbed “Michelin star” during his years at Le Cordon Bleu in Orlando, Ratino would manifest his destiny by honing his skills on the East Coast at Caviar Russe, wd~50 and Dovetail in New York City, before planting his roots in Washington, D.C. and cooking at two-Michelin-starred minibar. 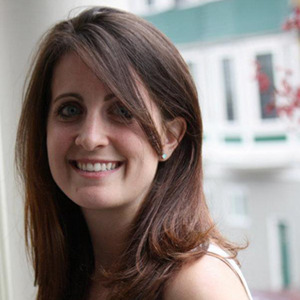 Ratino gained local acclaim when working under the tutelage of chef Marjorie Meek-Bradley at D.C. hotspot Ripple. After seven years of holding court in Cleveland Park, Ripple, along with several other restaurants in the area, shuttered last summer, causing much despair throughout the neighborhood and beyond. But Ratino had plans, announcing that he would open his first solo venture upon returning from an extensive Euro-trip for plate inspiration. 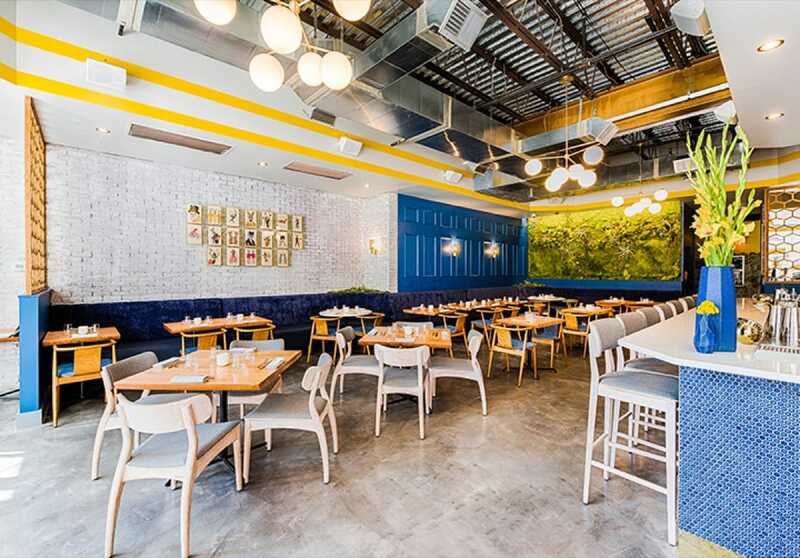 The end result: the bright and airy 60-seat Bresca, located on 14th Street NW in Logan Circle. 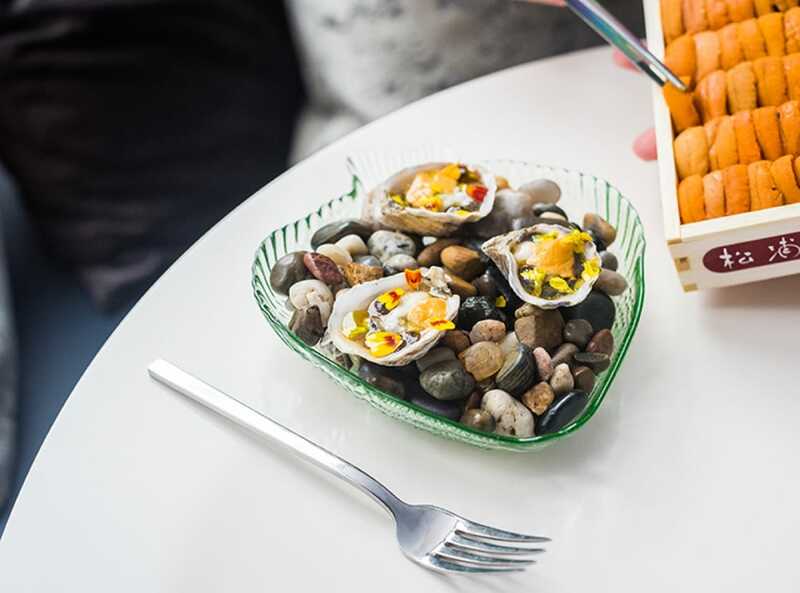 "Inside, whitewashed brick, a living wall crafted of moss and quirky decorative elements create a contemporary ambience, while an amiable staff tends to every detail," say Michelin inspectors of Bresca. 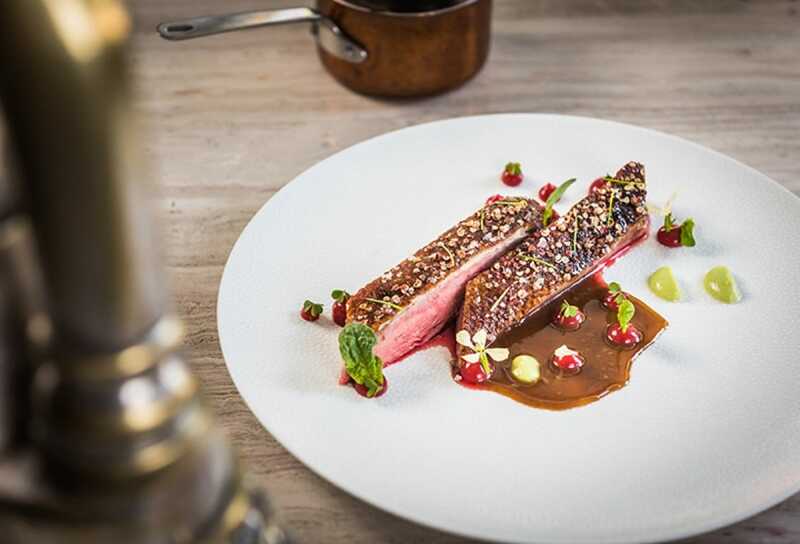 The 21-day dry-aged duck breast dons a coriander and pink peppercorn crust. Ratino and team are also a part of the ZeroFoodprint initiative, which aims to fight climate change by way of restaurants using sustainable practices to reduce their carbon footprint—a first for the area. At the recent MICHELIN Guide Washington, D.C. 2019 launch, Bresca was awarded its first Michelin star. Here, we talk to the young chef about his relationship with the red guide, now in its third year in The District. My first encounter was with The French Laundry Cookbook when I was heading to culinary school. This book was a great intro into modern French gastronomy for its time. Once reading it, I could not let it go and I discovered “the stars” when I researched more about the restaurant. This led me to finding other starred restaurants and researching them. For my entirety of culinary school my nickname was “Michelin star” because all I wanted to talk about were the starred restaurants. I got the call the same morning the guide was to be released. I remember my heart skipping a beat when I saw an “anonymous” caller dialing in. When I was told we were being recognized with a star I just couldn’t help but thinking what a great team I have and how happy this news was going to make them. It was a validation that our hard work had paid off. We bought a Nebuchadnezzar bottle of bubbles for the team and cheered before service begun. We worked as if it were any other day—but had one of the BEST services ever. After we closed, we all went to grab a quick bite and more drinks at the Line Hotel. I have always had the utmost respect for the guide and the chefs who are featured in it. I would be lying if I said a Michelin star rating was never on my radar—that is what a lot of young chefs aspire to. I take inspiration from many of these gastronomic luminaries such as chefs John Shields and Karen Urie Shields’s unique artistry at Smyth in Chicago; chef Lee Wolen’s remarkable dishes at Boka [also] in Chicago; and, of course, Thomas Keller, who has impeccable culinary skills and exceptionally high standards. I don’t think having a star will change the direction of Bresca, but I do think that will encourage us to push the envelope even further—being more creative and more attentive to details. Expectations are high now, so we have to work hard to make sure we are providing a remarkable dining experience for our guests. I would have to say two things: One, never give up! Even when it feels like you can’t take a step forward, remember that ultimately hard work will pay off one way or another. And two, always give something of yourself—give something from your personality, from your heart, your soul, or your memories—rather than trying to impress with your cooking. This way your food will transmit this passion to your guests regardless of their individual tastes.